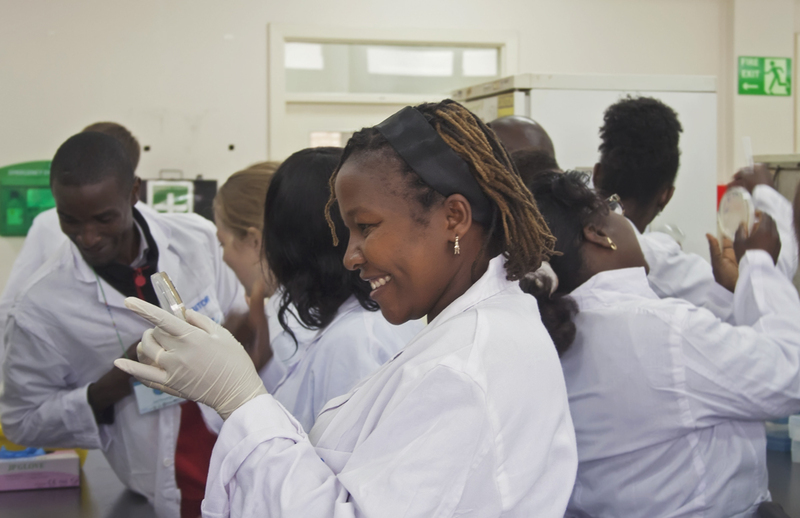 The Synbio workshop is a collaboration event that was created through the ENSA’s Crop Engineering Consortium, funded by the Gates Foundation and made possible through the BecA-JIC Alliance. 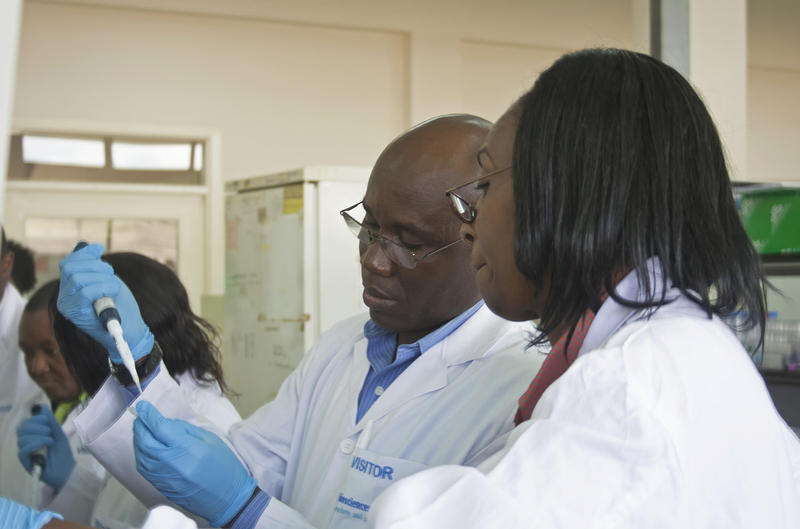 The 2015 training workshop was hosted at the BecA-ILRI Hub in Nairobi, Kenya. The project focuses on provides training in Golden Gate cloning; a recently developed method to assemble multiple DNA fragments simultaneously and directionally in a single tube reaction. This method has reduced months or years of work down into a matter of days and can generate multiple constructs that are ready for transformation and testing in plants. Over the course of three days, the workshop seeks to offer training in design, assembly and verification of constructs using the Golden Gate method. To do so, the workshop includes full in silico training as well as practical lab work along with further practical activities to support the theory methods being taught. 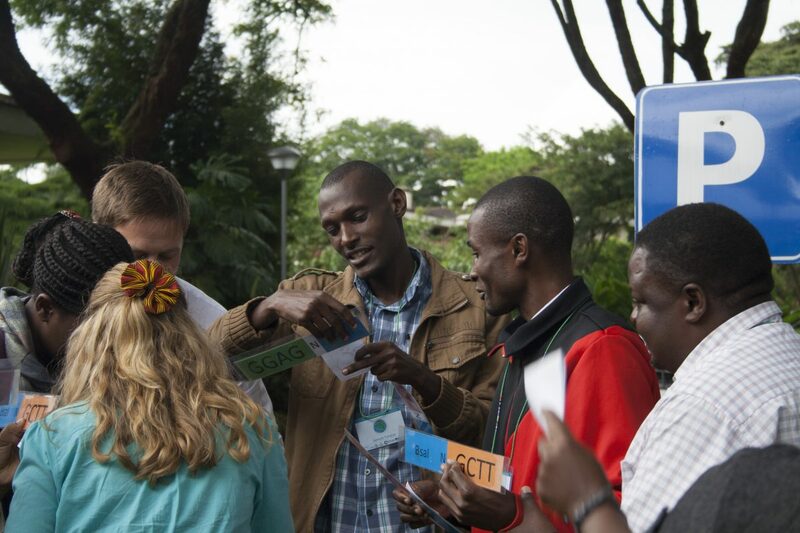 Applicants from across Eastern and Central Africa were selected to find participants who would immediately be able to apply the techniques that were being taught in their own projects. The November 2015 Synbio workshop sought to take the experience from the previous workshops and further build upon it through the feedback received. In this workshop, more time was included on construct breakdown forms and more thorough training on in silico practical work on CLC software was provided. To participants who voiced concerns of licencing costs of CLC, training in alternative freeware, APE, was provided. In addition to the course outline, a large portion of time was put aside for group discussion as well as assistance with individual participants construct designs. Together, these two approaches allowed the group to work through the theory together while also providing powerful individual support to each participant with construct designs specific to their area of study.